Abbington Green Bed & Breakfast Inn, Asheville NC: Abbington Green Bed & Breakfast Inn, Asheville North Carolina: Further Proof that Christmas is Coming! Abbington Green Bed & Breakfast Inn, Asheville North Carolina: Further Proof that Christmas is Coming! 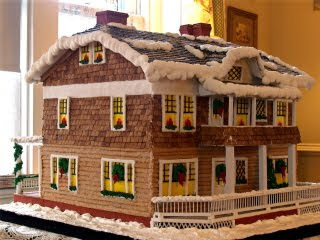 The annual "Asheviile Legendary Inns Gingerbread Master Class and Tour" is here!. Starting this Saturday at 4pm and running each Saturday until Christmas: Visit 2 of the Legendary Inns, including Abbington Green, each classically decorated with lights, wreaths and trees of the season. See six large professionally designed Gingerbread Houses representing scenes from the enchanting holiday poem "Twas the Night before Christmas." 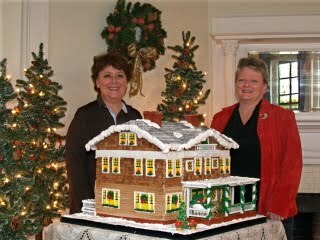 And come to the "Gingerbread Master Class" presented by award-winning Gingerbread artist Deni Cole. 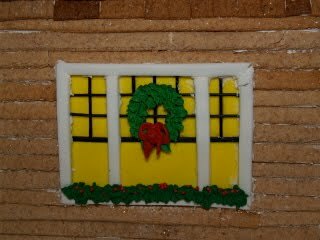 Whether you're a beginner, intermediate or more expert, Deni will share tips and techniques for creating a Gingerbread House at your home. A fun-filled and jolly time will be had by all! Check www.ashevillegingerbread.com for details.